BEECH GROVE — Some very lucky Hoosiers got a Christmas surprise on Friday when a group of Holiday Helpers from a local law firm paid off their layaway balances. 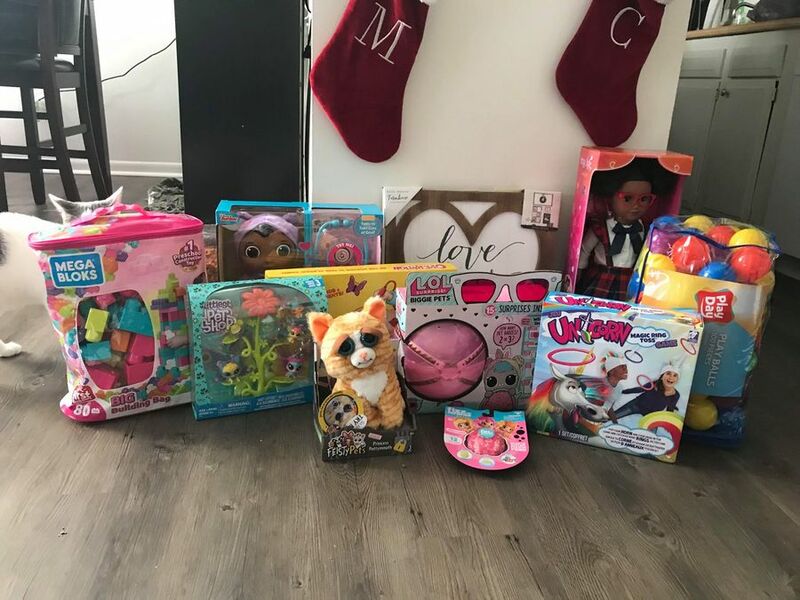 About a dozen people from Hensley Legal Group visited four different Walmarts in the Indianapolis area to spread some holiday cheer. The groups paid off about $2,500 worth of layaways at each store, including the one in Beech Grove. Raven Hernandez says their generosity will make a huge difference in their Christmas after she and her boyfriend had made the tough decision to let their layaway go back because of financial trouble the past few weeks. Hernandez says her boyfriend has a 3-year-old daughter and they had put most of her Christmas presents on layaway at the Beech Grove Walmart, but because of their financial situation, they weren’t able to make the payments to pick it up. “It was so devastating because the layaway was almost her whole Christmas," Hernandez said. "On Dec. 10, the layaway was going to be put back on the shelf and there was nothing we could do about it." Early on Friday, John Hensley and the Hensley Legal Group’s “Holiday Helpers” changed everything. In total, the Hensley Legal Group paid off around $10,000 in layaways for Hoosier families in the Indianapolis area. “It was truly a blessing,” Hernandez said.